Succeeding in today’s digital age requires technology and communication firms to communicate technology transformation in the language of business. In a global environment marked by constant disruptive change, you need your brightest leaders to be both tech savvy and strategically agile. 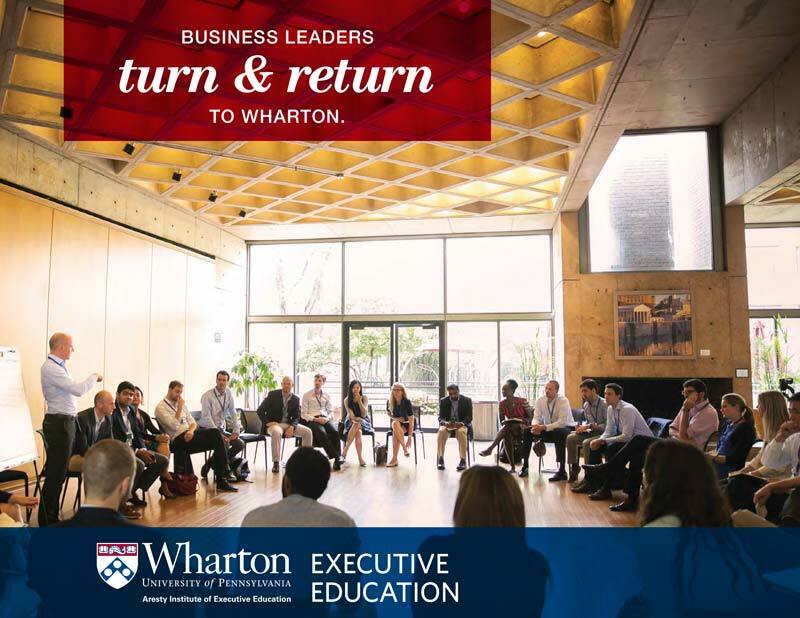 At Wharton Executive Education, we take a collaborative approach to designing custom programs for technology and communication firms combining the management practice and leadership skills your executive team needs to continue to innovate. Our custom programs tap into the research and faculty expertise from the Wharton Customer Analytics Initiative and the William and Phyllis Mack Institute for Innovation Management. We can provide your technology leaders with the business acumen to influence, lead, and achieve innovative breakthroughs — triggering transformative change in your organization. Every technology organization is challenged with how to make innovation an integral part of their business processes. By customizing our programs to your specific business imperatives, Wharton provides your senior leadership with the latest business insight and strategic implementation skills to thrive through innovation management. Google approached Wharton Executive Education to create a custom educational program for its high-potential talents. In other industries, companies seek ways to include innovation in their business processes. At Google, innovation is the norm: leadership and foundational business principles are the higher-level skills that the company’s rising talent most often seeks to acquire. 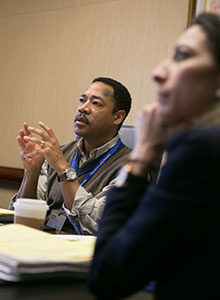 Wharton created a custom engagement made of two five-day residential modules led by Wharton faculty experts in marketing and finance. The participants were bright, highly motivated technical talents who excel at agile, creative decision making. The modules were designed to give these participants the academic foundations in leadership and governance that would allow Google to continue to rewrite the rules in American business.